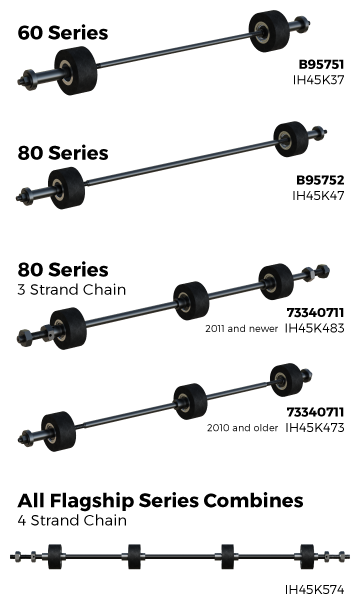 Keep your feeder chain on rollers with the Case IH Feeder Housing Roller Kit from Black Ace®. One of the greatest enhancements ever, this durable product is easy to install and available in multiple series. Keeps your feeder chain on rollers and off the slides.